Bitter~Sweet ™: Revisiting Diabetes Blog Week!! 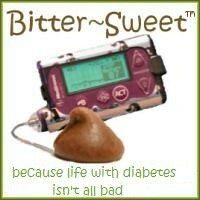 I can't believe it’s already been a month since the second annual Diabetes Blog Week. I’m still on a bit of a DBlog Week High. (Luckily, that high affects only my mood and not my blood sugars!) Seriously, DBlog Week is definitely one of the highlights of my year. It’s like my birthday, Christmas and a trip to Disney World all rolled into one. So, when Laura of the Discuss Diabetes blog from Sanofi-Aventis asked if I’d be interested in doing an interview, I was more than happy to oblige. 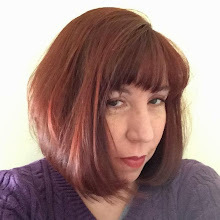 The interview is up today - "In Her Own Words: D Blog Week with Karen Graffeo". I’d like to thank Laura for the wonderful interview opportunity and for helping to shine a light on the D-OC and what we do! We're a month closer to next year!!! YAY! Karen – Thank you for doing the interview! It was very moving reading posts from D Blog Week and I was honored you agreed to be featured on Discuss Diabetes. Congrats and thanks again! Best, Laura K.
I know it had to be a lot of work and you HAVE to know how much we all appreciated it! I cannot believe a month has already flown by! Awesome! I keep checking back to the links :-). Can't believe it's been a month already. This was a great event, for me with a newly dx DD, it was definitely a great eye opener to the support we have out here. Thank you again. Nicely done! Congratulations. This was my first DBlog week too and it was amazing. I was one of those people you mentioned in the interview: someone who was reluctant to start a blog. Bob Pederson encouraged me and I'm so glad I took the plunge. I've been going back and reading some of the posts, so thanks for keeping the links up on your page. Seeking knowledge from each other . . .
Three years ago . . . I REALLY wanted to smack her . . .
5K is not so far . . .